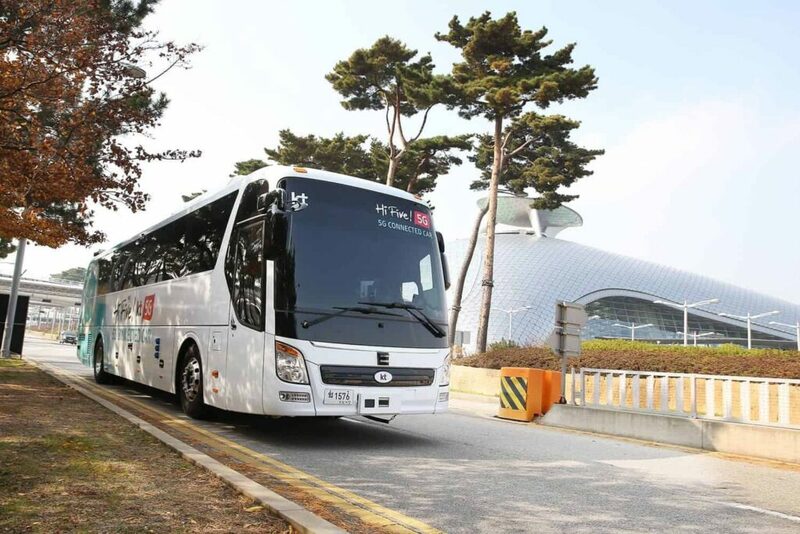 KT Corp., South Korea’s largest telecommunications company, has announced that it has successfully tested a self-driving bus at the country’s largest international airport. At Incheon International Airport (IIA), KT’s driverless bus covered 2.2 kilometers at a speed of 30 kilometers per hour outside the airport’s Terminal 1. The self-driving vehicle slowed down at traffic signals and changed lanes to avoid obstacles. Airport employees and officials from the Ministry of Land, Infrastructure and Transport watched the demonstration. KT Corp previously signed an agreement with the Incheon International Airport Corporation to develop a new intelligent airport based on information and communications technology (ICT). The two partners plans to expand cooperation into the areas of fifth-generation (5G) mobile networks, artificial intelligence (AI), big data and Internet of Things (IoT). To become a global leader in autonomous vehicle technology, KT is developing the 5GaVP (5G as a Vehicle Platform), a commercial self-driving platform using its 5G technology. KT’s 5G technology was demonstrated as the world’s first pilot network service during the Pyeongchang Winter Olympic Games. KT has also developed GiGA Drive IVI, a smart, voice-recognizing platform for connected cars. IVI, or in-vehicle infotainment, is a system that combines information and entertainment for drivers and passengers. KT’s IVI platform provides diverse information from directions to traffic conditions. Destinations can be set automatically by linking the vehicle with a mobile device. It includes an Advanced Driver Assistance System (ADAS), which alerts the driver to danger and uses next-generation intelligent transport system technologies to visualize driving information.